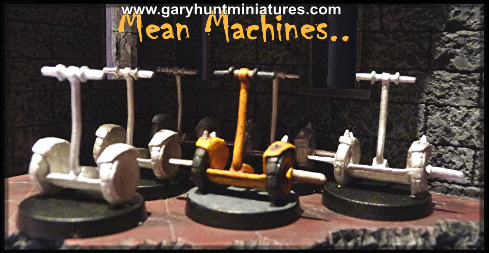 Every self-respecting City chick or Goatboy needs some wheels and here they are, 6 of the hottest machines on the block. Studded with Sythes for chariot racing or rioting, plain for a quick getaway! 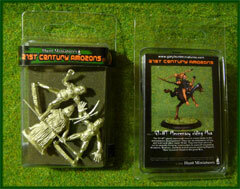 For use with suitable 28mm or 30mm figures, great for conversions.